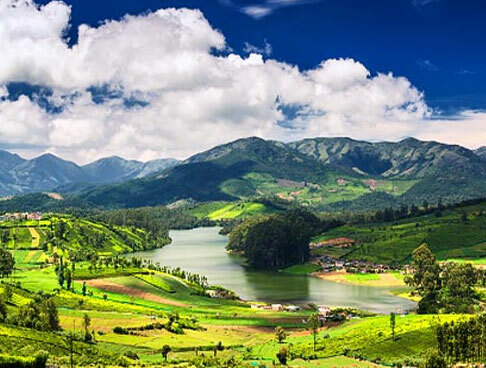 The South Indian state of Kerala is quite popular amid honeymooning couples as it is one of the most romantic destinations in India. It boasts of beautiful views, calm surroundings, verdant scenery, salubrious climate, offering an ideal setting for enjoying a memorable vacation. Opt for Romantic Kerala tour, a well-planned package of 5 nights and 6 days offering an unforgettable journey to you and your partner. 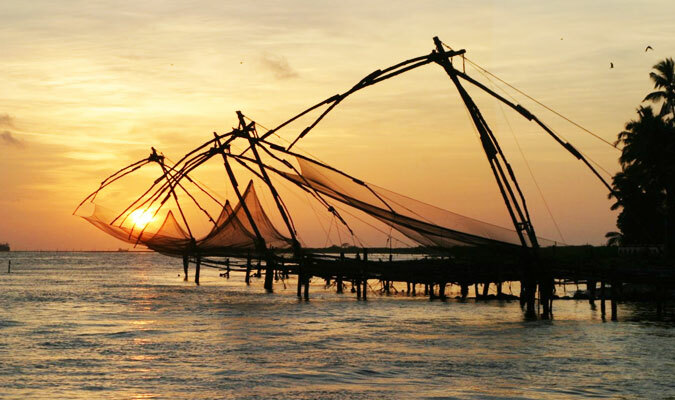 This itinerary is a wonderful mix of sightseeing, breathtaking hill views, houseboat ride on placid backwaters, fun activities at the beach, leisure time, temple visit and so on. 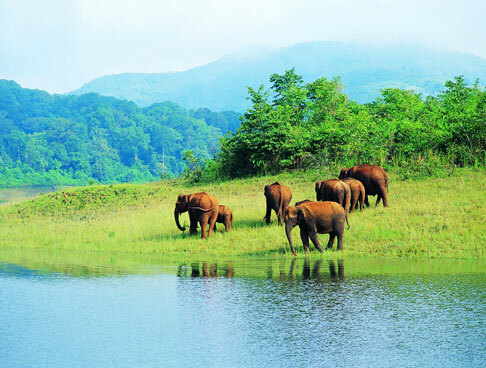 Cochin, Munnar, Alleppey, Kovalam and Trivandrum are the popular cities of Kerala that you explore. 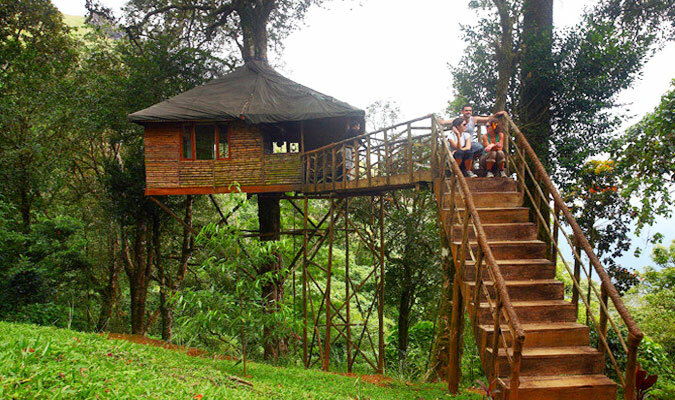 Overnight stay at a Tree House. 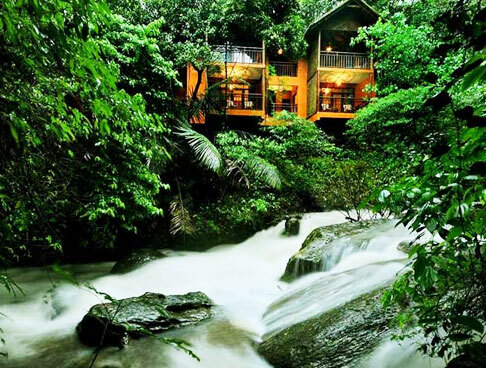 Breakfast is followed by sightseeing in Munnar including Tea Museum that is opened and managed by Tata Tea. It is stocked with photographs, machineries and other kinds of objects that are related to the tea industry of the region. The next visit is to the Mattupetty Dam, a famous picnic spot around a lake. Hike up to the Echo Point, a picturesque spot with natural echo phenomenon. 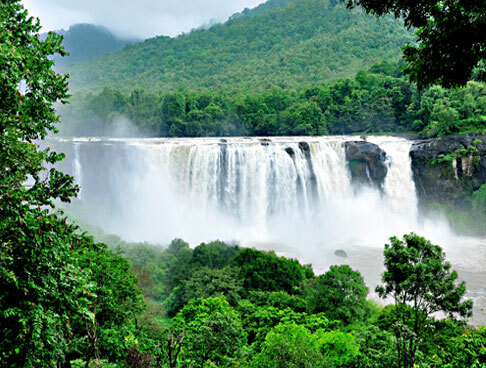 Later on, proceed to Kundala Lake and dam site where you can see Neela Kurunjhi, a flower that blooms once in 12 years. 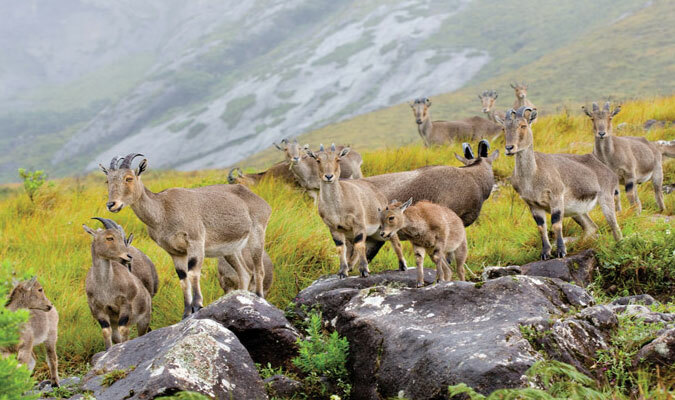 The afternoon is scheduled for visit to the Eravikulam National Park, home to the endangered Nilgiri Tahr. Explore the place together. On day 3, post breakfast. 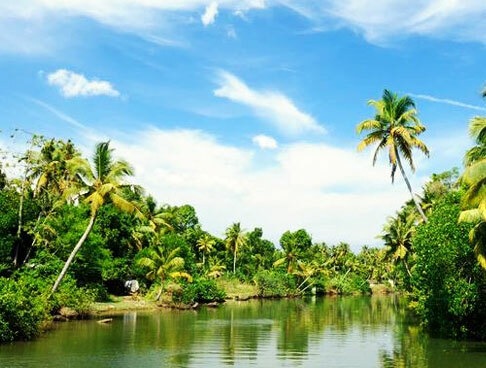 Start driving to one of the most popular backwater destinations in Kerala, Alleppey, now known as Alappuzha. 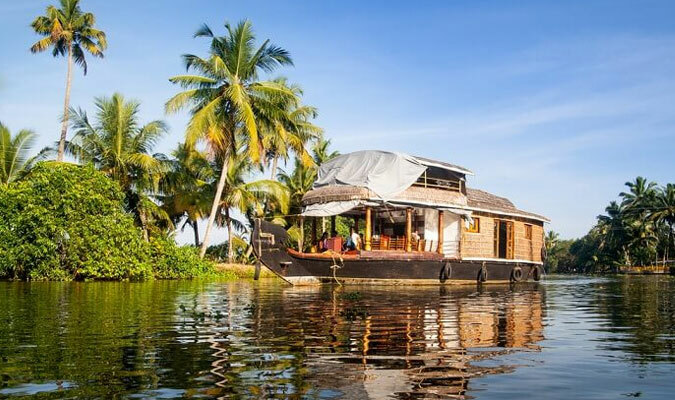 Arrive at the jetty, check- into a kettuvallam or a Houseboat. 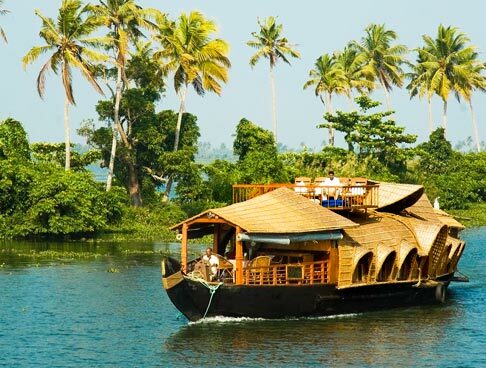 As this is an overnight cruise, during the houseboat tour, you are accompanied by a trained chef and a rower. This houseboat comes with a kitchenette, bathrooms and well-equipped rooms. Savor the surroundings views of paddy fields, colorful birds, locals buy in their work, coir making industry and other attractions. 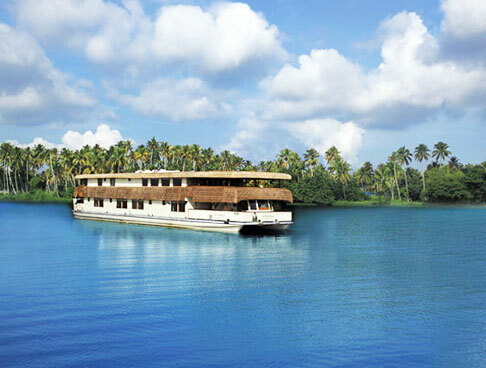 A houseboat cruise can be termed as one of the most romantic things in Kerala. In the morning, the houseboat is back at the Alleppey jetty. Have breakfast and complete the check-out. Now embark on a road journey to Kovalam, a lovely, peaceful beach town. On arrival, check in to a hotel. The day is now at leisure. You can partake in the activities of your interest. The town offers you an intimate setting, away from touristy chaos. Explore the place on your own. There is romance in the air. If you want, you can also get a couple massage done at any of the Ayurveda centers. Today, post breakfast, opt for sightseeing tour of Kovalam. 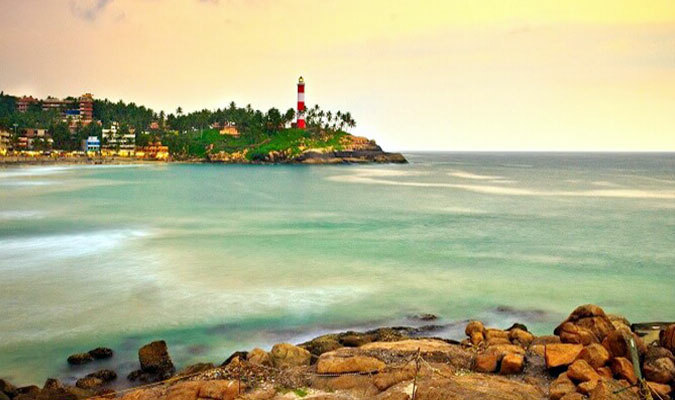 Head to the pristine crescent-shaped Kovalam beach that comprises of Hawa Beach, Lighthouse Beach and Samudra Beach. Partake in fun activities together. You can also visit the other attractions of Kovalam such as the lighthouse, Napier art museum, Vellayani Lake, Vizhinjam rock-cut cave temple, Kovalam Art Gallery, boat riding in Karamana River and so on. The evening is free at leisure. On the last day, post breakfast, complete the check-out. Travel to Trivandrum by road for morning sightseeing. The attractions that you can visit today include Shri Padmanabha Swamy temple, Shangumugham beach, Shri Chitra Art Gallery and Chowara beach. Pick the ones you like. Thereafter, move to the Airport to board the flight for onward journey.